An on-site 60’ x 40′ greenhouse is currently being used by the Yreka Community Garden, Siskiyou Arboretum, and the Yreka Garden Club. Garden vegetable and flower plants are grown in the greenhouse for sale to the public, representing a major source of revenue for YCG. Plants have also been donated to seniors, Juvenile Hall and other community groups. 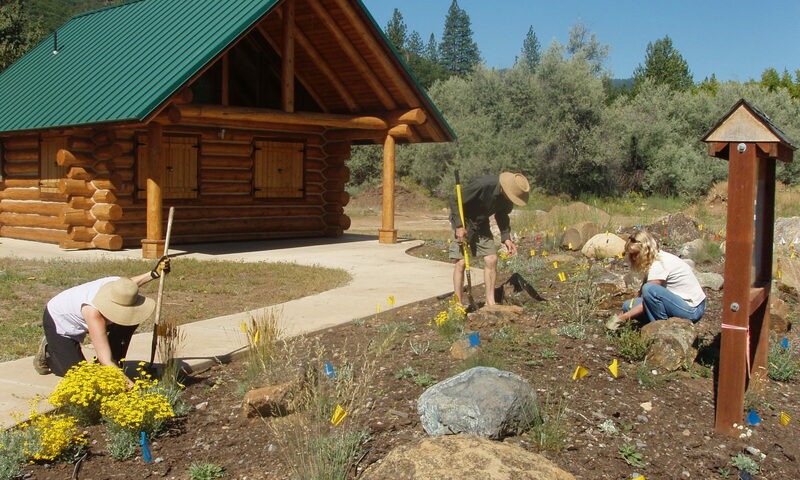 The Siskiyou Arboretum grows native plants in the greenhouse, which have been used for planting at Greenhorn Park and along the Yreka Creek Greenway. The Yreka Garden Club grows ornamental plants for sale and for plantings in and around Yreka. The greenhouse is run and maintained by volunteers and generous community donations.